From the imaginative mind of Joe Benitez with colors by the incomparable Peter Steigerwald, comes this all-new supernatural action-adventure series! The tabloids dubbed her 'Lady Mechanika', the sole survivor of a psychotic serial killer's three-year rampage through London. Found locked in an abandoned laboratory amidst countless corpses and body parts, with her own limbs amputated and replaced with mechanical components, her life began anew. 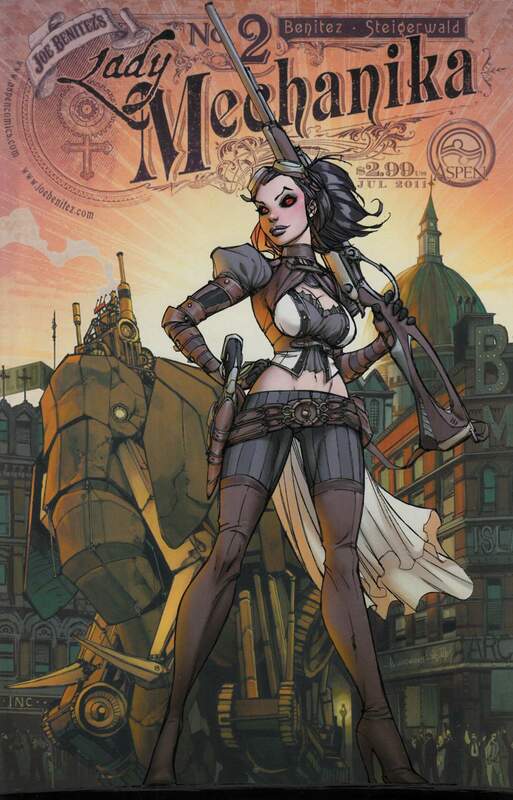 With no memory of her captivity or her former life, Lady Mechanika eventually built a new life for herself as a private detective, using her unique abilities to solve cases the police couldn't or wouldn't handle. But, she has never stopped searching for answers? Now, brought into a case unlike any before, Lady Mechanika will have to rely on her advantage in all things occult and paranormal in order to solve the case and possibly unlock the secrets to her past!